Comments: The Stealth is meant for smaller rigs as it has a weight capacity of 15 lbs. whereas the CineSlider (below) has a weight capacity of 35 lbs. (if centermounted) and 80 lbs. (if fully supported). The Stealth has the same drag control feature as the CineSlider, which is always good for adding tension for more control of slower moves. Description (from Kessler): The Stealth is a hybrid slider that combines the lightweight portable rail & carriage system of our standard Pocket Dolly™ with the drag control of our CineSlider™. Features include drag control, measuring tape, smooth rolling precision stainless steel ball bearing wheels and multiple mounting options. The Stealth does not have a crank handle. Comments: This unit is in direct competition with the Atlas system above to be honest. It’s very important to remember that every tool has it’s particular strenght. The CineSlider is incredibly well built – and will work wonderfully with the hand crank or the Elektra motor. Keep in mind that the Atlas system above may appeal to operators who want to push the slider by hand at the base AND operate their fluid head at the same time. Yet pushing a slider at a precise speed, especially at slow speeds – is a skill. Having a hand crank let alone a motor can be a superb advantage. Frankly – I use both – and in different situations. This unit is mounted on tripods and may take just a tad bit longer to put up than the Atlas would on the ground for example. The being said: you need to decide for yourself on how often you will be shooting from ground level or from a table – versus with a set of sticks that you can adjust precisely. I personally love this CineSlider because you can start with the base model shown here – and add to it over time with electric motors, the revolution head, and Oracle control system over time. This will allow you to operate the entire system remotely for video (a remote controlled slider with pan/tilt head!) 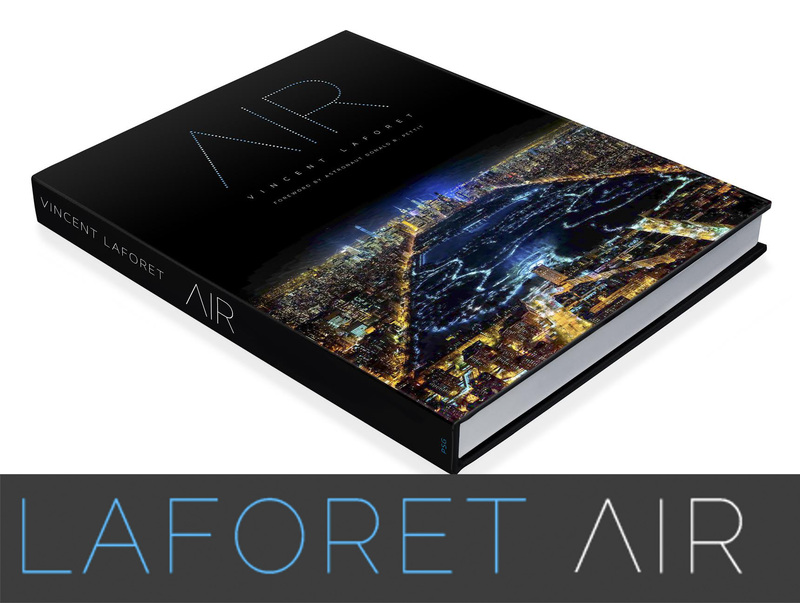 and to use it not only for video – but also for incredible time lapse photography setups. As you can see – there is a lot of room for me for both the Atlas and CineSlider systems – as each fills a unique niche. It should be said that this is THE GO TO SYSTEM for time lapse photography in my opinion. Nothing comes close to it at this time. The build of the slider, the motors, and Revolution head is rock solid. Read more about it and related gear in the Timelapse and Motion Control Section of the blog. Here is an example of a Time Lapse dolly "push" (halfway through the video) on the Kessler Cine Slider. This time lapse was shot off of the coast of Naples, Italy on a Canon 5D MKII, Canon 24~70mm 2.8, Canon TC-80N3 Timer Remote Controller Unit a B+W 77mm Circular Polarizer mounted on a Kessler CineSlider, with an elektra DRIVE and ORACLE Controller mounted on a Manfrotto 498RC4 Ballhead supported by two Manfrotto 190CXPRO3 Carbon Fiber tripods. 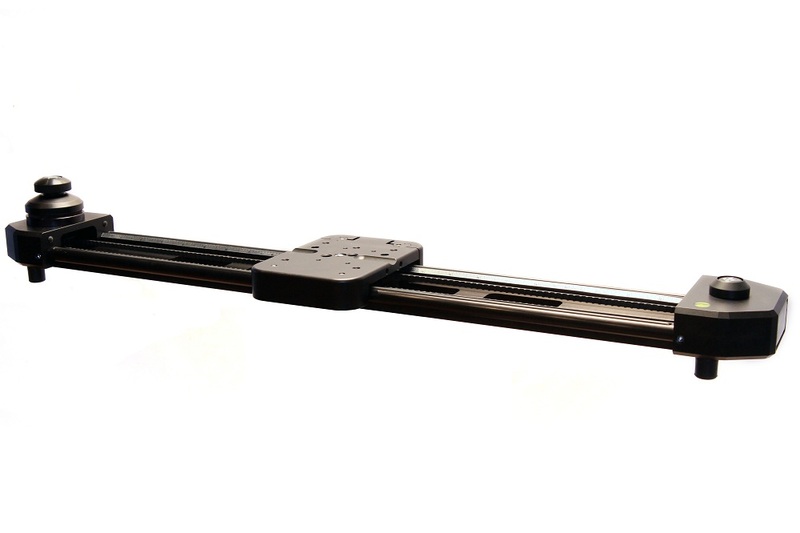 Description (from Kessler): The Kessler CineSlider™ is a heavy duty portable mini-dolly / linear slider system for camera rigs weighing up to 80 pounds or more. Weighing in at only 10 pounds, with a length of 40.5 inches, 5 inches wide, and a total camera travel distance or 35.5 inches, the CineSlider is a very portable solution to get those quick, smooth short-run dolly movements, without having to transport a large dolly system. Comments: This is a fantastic slider system that can literally grow with you. You can start with a 4 foot system and go all the way up to 12 feet – which I do regularly. As long as you use proper support you’ll find zero flex which is critical. This is the heart of my time lapse system – and works perfectly with or without motors. The legs are a great solution for a low mode use as well. Additionally, I love the outrigger feet – really fantastic way to put the slider down on the floor, on a table or just about any surface (especially uneven ones) quickly in seconds and make very quick adjustments. Tripods take significantly longer. Description (from Kessler): The Shuttle Pod Start Rail Kit (4 ft) is the base to your Shuttle Pod Rail System. By adding on the 4 foot Extension Rail Kit (or multiple), you can expand your Shuttle Pod Rail System to 8 ft, 12 ft, or more (with proper supports). Comments: It’s great to be able to quickly go from 4 feet, to 8 feet and eventually 12 feet… or as long as you want to go theoretically! Description (from Kessler): Turn your 4 foot Shuttle Pod Rail Starter Kit into a 8 foot length, or add multiple extensions to extend the rail length longer. The cross includes standard threaded holes for adding additional support. Comments: We’ve mounted fully loaded RED Epics, and all HDSLRS to this system without a problem. Description (from Kessler): The Kessler Shuttle Pod Mini is a smaller, easier to transport version of the original Shuttle Pod. It is about half the size and half the weight of its big brother, yet still provides the versatility needed to get the manual or motorized shot you require. The Shuttle Pod Mini is designed to break down into a small, easy to manage package. Using the shorter 2’ rail sections, it can even be stowed in a backpack for those long hikes up the mountain. Like the larger Shuttle Pod, the Shuttle Pod Mini is totally smooth and silent. It can be used with the included track or stand alone on any smooth, flat surface. Track sections are available in 2’, 3’ and 4’ lengths and can be connected end to end to achieve any length desired. Outrigger feet are available for the Shuttle Pod Mini for track end support. Center supports are also available for use with longer track runs. We recommend supporting the track at least every 4’. Description (from Kessler): The Kessler Pocket Jib™ is the ultimate compact, portable jib. Not only is this jib fully collapsible for easy transport, but you can also mount the Kessler Pocket Dolly™ or CineSlider™ to it, turning it into a virtual "all-in-one" production tool, offering both a jib and mini-dolly in one unit. The Pocket Jib™ has a telescopic dual rail arm design that has a maximum reach of five feet, fully extended, which is approximately 6" less than our KC-8 crane. The end of the crane arm features a ball relocator with 100mm bowl, so you can mount a 100mm ball fluid head. The weight bar system is also telescopic and collapses and folds away for easy transport. Comments: This is a BIG jib and with a motorize head you can do some pretty tremendous stuff with it. It doesn’t travel as well as the "Pocket" Jib above, but with a Hercules Head (or other motorized head) this will bring a huge amount of production value to your shoot for a relatively small cost. Thank you sharing your knowledge with us. Which tripods are you using for the Cine Slider? Sorry, I noticed that you have the tripods models under the time lapse video. Is the Kessler cineslider loud when using it with the motors? @Louis, Not at all – you can hear it if actors are whispering in a small room – otherwise it’s really not a factor in my opinion. 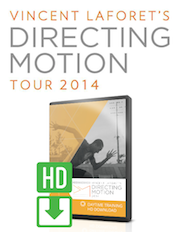 Are you using the 500 series motor with the Cineslider? And is that the 5ft version in the video above? @Barry Cheong, We use the 200 and 500 series motor at any given time depending on what we’re shooting. For live video, we use the 200 series motor, and for time lapses we like to use the 500 (though you can still use the 200 as well). In the video above, we’re using the 3ft cineslider. @Marcus – Is there any major difference in sound from each motor? Is the use of the 200 motor just for speed? @Barry Cheong, Well, technically the 500 would be marginally quieter as its overall speed is limited. However, you wouldn’t really want to use the 500 series for live video work as it’s made to run in very small increments–perfect for time lapses. So, yes, the 500 is quieter, but the 100 and 200 series motors are the only I would recommend for real-time moves. Overall though, the motors are quite quiet, especially for the type of work that they do. How was the Canon TC-80N3 Timer Remote Controller Unit used in the Rainbow Timelapse, when you had the ORACLE controller? Hi vincent! 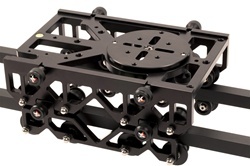 I would like to know wich quick release plate you use on the kessler crane, I’m a bit confused on wich should I buy! 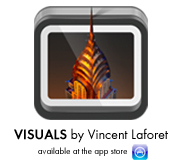 @Vincent Laforet, yep but the problem is that i don’t know wich one exactly! is this the one? could i put a smaller one below a viefactor cage? the rrs site is not very hdslr friendly! We have gotten the Kessler Cine Slider with Oracle and just like you mentioned, it is well built and works great. We met the last time you were in Singapore. I’m looking to get a jib for the BMCC, would you recommend the Porta Jib Explorer or Kessler Pocket Jib? I’m looking to find something that has decent range, doesn’t take too long to setup, and is sturdy enough for the camera and a few extra pieces like monitor and follow focus. Have you noticed a difference in smooth motion, steady start/stops between the two? I’d love to try each on my own, but unfortunately, I’m unable to, so your advice would be very valuable. Also how is the trolley/slider feature on the Explorer compared to the CineSlider? I’m trying to get a nice all in one rig, but I know I need to make compromises, so I’d love to hear your advice. I’ve used both. Both are steady. The Porta Jib may be a bit smoother with heavier weight – with normal weight they’re equal. The Kessler Jim is much more expandable w/ Time Lapse uses. I own both and only use the Kessler product for what that’s worth. They are constructing a light and rather low-budget crane which can be used for simple camera set-ups (e.g. EOS5MIII without full rig). Crane to be fixed on tripod. 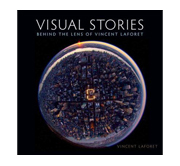 Should be especially useful for documentary projects. Incidentally, this is the most successful crowdfunding project in Germany so far. I just became a supporter myself. Hey guys, Great videos showing the gear. can you link the controllers so slider and pan/tilt are synchronised? and does it give you control of the zoom or focus of your movie camera lenses? I wonder how you co-ordinate all if those axis. Wham bam thank you, ma’am, my quneitoss are answered! Personally, if there are no unknown facts that make a difference, I don’t think he should be in trouble at all. Our society is in the habit of making excusing for the guilty, punishing the innocent along with (or instead of) the guilty. We shouldn’t be surprised that things are going to hell. great language you guys are using here! sets a really great example for the rest of the world that may be reading this. Believe it or not, it does make a difference, so please watch your mouth. Or maybe the host shinda should do something about it …. You actually make it seem so easy along with yourpresentation however I to find this matter to be actually one thing that I think I’d never understand. It seems too complicated and very large for me. I am looking ahead in your next publish, I will try to get the dangle of it!